I have to admit, I am one of those people who thinks sweets are everything. Yes, the perfect pick-me-up when you've had a bad day and a boost of energy when you're feeling a little low at work. One of my favorite things to devour whenever I run into one of those two or both? Cakes! I am definitely a frustrated baker but I am more into cake-eating than making it. Hahaha. Of course, Goldilocks is one of my faves when it comes to sweets and treats! Have you ever heard of National Cake Day? Yes, there is a day dedicated for our sweet favorites! 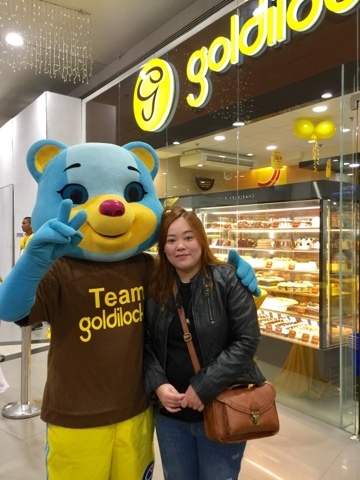 Goldilocks, the leading bakeshop in the country celebrates this day with a cake buffet for only P148 pesos! 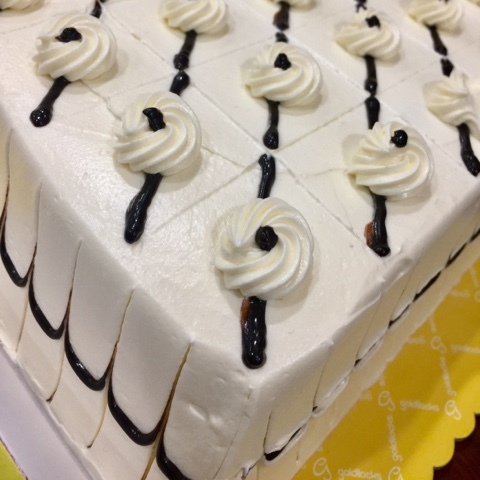 It's no secret that eveyone loves dessert, and cake is always at the top of that list. 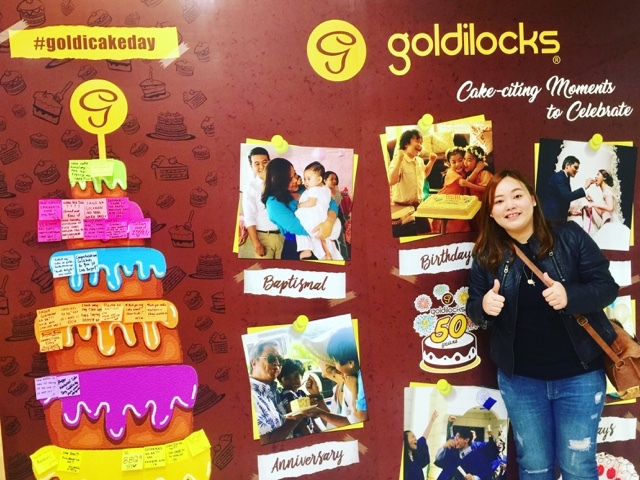 From the classi favorites like Chocolate & Butter Cakes to the more special Black Forest and Brazo de Mercedes, Goldilocks has been on top of their cake game. 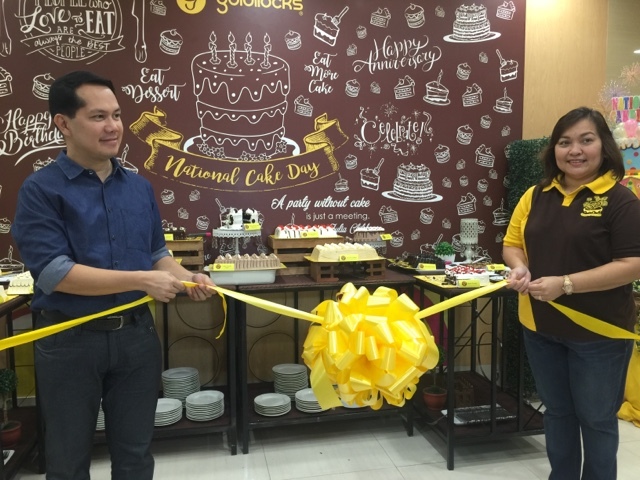 With 50 years of cake experience and expertise under their belt, Goldilocks has given delight to children, adults, and every cake enthusiast all over the country with their classic flavors, premium cakes, and even their snack-sized cake slices. 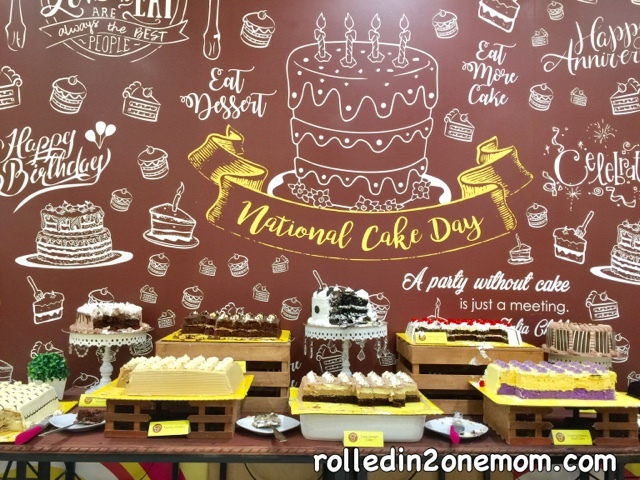 Yes, Goldilocks celebrated the enduring charm and taste for their cakes at the recently concluded National Cake Dat in SM City Manila. As part of Goldilocks 50th Birthday Celebration - National Cake Day was a main event. Guests were treated to all the classic and premium Goldilocks cakes that they could eat at the National Cake Day buffet. 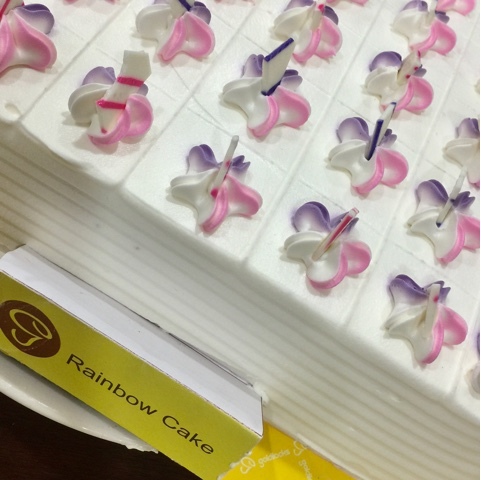 All the guests were able to have their fill of classic Black Forest, Ube and Mocha cakes; and premium flavors such as Chocolate Velvet, Rainbow and Caramel Banana. 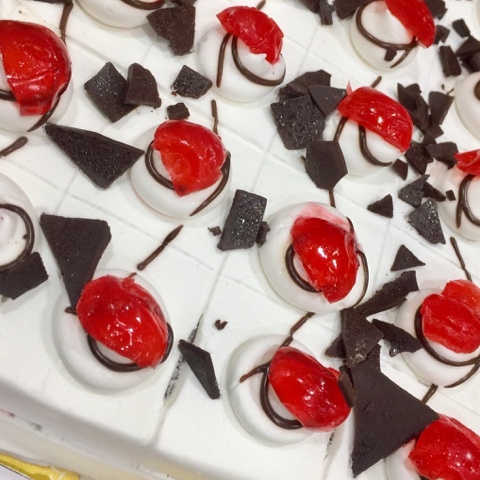 Of course, snack cakes like the Double Dutch, Chiffon, and Marbled slices also made an appearance at the buffet, which everyone, including me, enjoyed. But wait, though National Cake Day is over, go ahead and indulge yourself! Grab a Goldilocks cake slice, cake roll or any of Goldilocks famous round cakes and share a slice with family and friends! Goldilocks has been a part of me and my family's celebrations over the years. Be it a birthday party, baptism or anniversaries - we always make sure we have their cakes on our table. 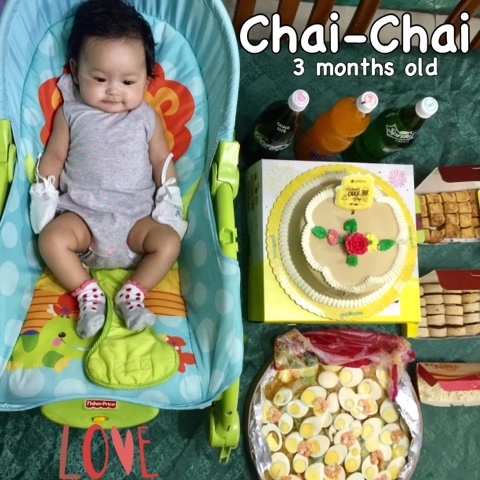 My baby girl's 3rd month birthday. Can't decide what flavor to get? Visit their website to learn more about all of their cake flavors. Click here : Goldilocks.